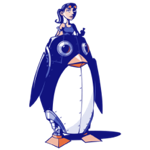 LinuxChix is a community for women who like Linux and Free Software, and for women and men who want to support women in computing. The membership ranges from novices to experienced users, and includes professional and amateur programmers, system administrators and technical writers. See About LinuxChix for more information, and Join LinuxChix to join.